It doesn’t demand much imagination to realize where the Nicaragua real estate market is headed. The real estate boom in Nicaragua is similar to what took place in Costa Rica in the 1980s, where people took advantage of an unknown, misunderstood country with a vibrant culture, spectacular landscape, and friendly people, to own a property in paradise for both pleasure and profit. In Costa Rica, the course of events was much like what is happening today in Nicaragua: First, political stability was achieved with an eye on improving the economy and infrastructure. Then its wealth of spectacular beaches attracted tourists in record numbers…followed by retirees and real estate developers. This process is exactly what is underway right now in Nicaragua, and as the nation develops, you can find excellent Nicaraguan real estate for sale. But you need to be aware that the window of opportunity is small and you must act soon in order to ensure you will find the best real estate opportunities available. With numerous Nicaraguan real estate projects in their infancy, now is the perfect time to take advantage of what you may have missed in Costa Rica. But what areas are investors and second-home buyers focusing on as they think about buying property in Nicaragua? Nicaragua’s Pacific coast comprises miles of beach living in the current property market. 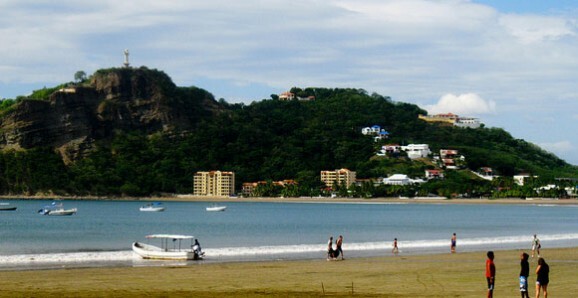 Today, most of the beachfront real estate activity on the Pacific coast is centered on three primary pockets that are home to some of the most spectacular beaches in Latin America: the “Emerald Coast,” the area that includes Tola, Popoyo, Gigante, Colorado and beaches up to Jiquiliste; San Juan del Sur, a small tourist city that boasts super surf, great international restaurants and lots of fun; and the coastal areas within 30 minutes of the northern colonial city of Leon, Poneloya and Las Peñitas. 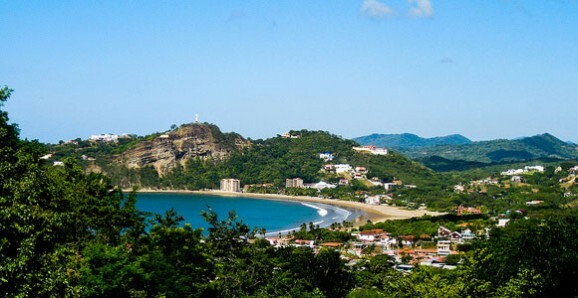 If your retirement dream includes looking at the ocean every morning, look no further than San Juan del Sur, Nicaragua’s most-popular beach town. 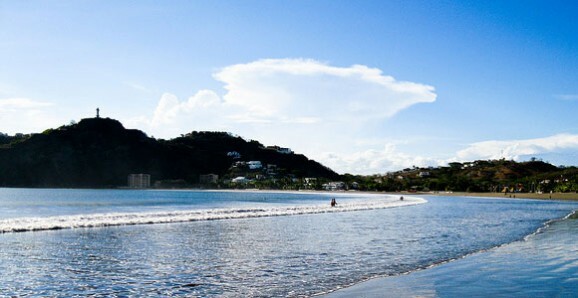 A small, eclectic town San Juan del Sur offers you an idyllic beach life. Picture yourself in a hammock, cocktail in hand, watching a breathtaking sunset—every day! Swimming, surfing, lounging, meeting your friends at one of the over 50 restaurants in town will become a way of life. Never thought you could afford the life of Riley? What about an ocean-view condo, two-bedroom, two-bathroom, beautifully furnished for $97,000? Or a luxury house on a cliff with an infinity pool and the great blue ocean beyond for $289,000? Or buy a lot for $20,000 and up and build your own dream house. If you always wanted to live by the ocean, but knew it was out of your reach in your home country, you can do it here in San Juan del Sur. The jewel in Nicaragua’s crown is a little city called Granada. It’s a beautiful, bewitching place and home to the most expats. And if your dream of an overseas property involves an old colonial home, you’ll get more for your money in Granada. Granada has an unmistakable colonial charm. Red-tile roofs stand out against the dark-green cloud forest that covers the slopes of the sleeping Volcan Mombacho. Thick-walled adobe homes line the narrow streets, painted in all colors. Yet familiar western-type shops and restaurants can be found everywhere. The central park is a particularly nice place to hang out and people watch, take a horse-and-buggy ride, or stroll around the plaza checking out the artists and vendors who sell their wares there every day. Purchase a colonial home in need of renovation and/or restoration for the purpose of a second home, bar, restaurant, small boutique hotel, or condominium conversion project. Scout for shell properties (in complete need of renovation), which are available in Granada for $50,000 to $100,000 if you pound the streets looking for unlisted properties for about 2,000 to 4,000 square feet. Some will even have pools. Other colonial homes in better condition, but still in need of restoration, start at $180,000 for approximately 5,000-plus square feet. León and Granada have always been in competition for the title of biggest, best colonial city. 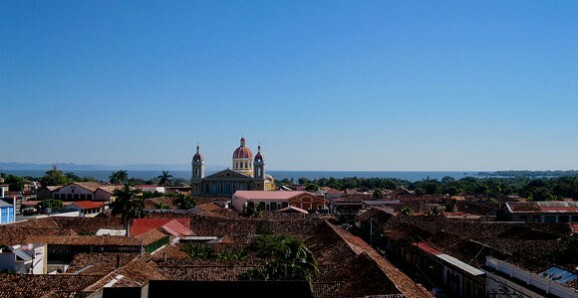 In fact, the two cities competed to be the capital of Nicaragua, but Managua was chosen instead. Where Granada is more glitzy and westernized, León provides an inside view on a real Nicaraguan colonial city. Also a university town, Leon has a student culture, which includes many museums and the arts. A very musical town as well, you can visit neighborhood bars for local music as well as concerts. A fascinating city to walk around, León’s Cathedral is otherworldly beautiful. You can find real estate in León for a song. Fixer-upper colonial homes can be found for $35,000 and up. Buy a completely refurbished, furnished colonial for $180,000 or more, depending on size, location and amenities. Managua, the capital of the country, also has great deals if you feel you must live the big city life. Museums, theaters, concert venues and international dining will keep you busy in this bustling, noisy city. Managua also has the best healthcare in the country with its Metropolitano Vivan Pellas Hospital. Here you can choose to live the way you want to—in a brand new home in a community development for as little as $35,000, or in a home fit for a king with a lake-size pool and seven-bedroom furnished luxury mansion for under a million dollars (think 10 times that price in California!). Matagalpa is a wonderful city situated in the mountains, surrounded by year-round green forests, lakes, rivers and waterfalls, this place will make a nature lover out of anyone. If you like a San Diego, CA-type climate, crisp clean air, and a lot of places where you can go hiking, bird watching and other outdoor things, you’ll love Matagalpa. The city is also beautiful, with two main city parks at either end, great places to people-watch. Rent a house for $200 to $500 a month, or buy a home in the center of the city for $75,000 to $150,000. This is the only city in Nicaragua that has disability ramps on every corner and doesn’t allow smoking in most restaurants. Modern, middle-class, Matagalpa, is the new kid on the block. Find a house to rent just outside of town for $200 a month and up. Or live right in the city for $300+. Buy a house anywhere from $35,000 to $200,000, depending on location, size and amenities. Property ownership in Nicaragua is fee simple/freehold, with title issued and registered in your name. In Nicaragua you own the land, just like in your home country. If you are familiar with real estate affairs in Nicaragua (and speak fluent Spanish), you can buy directly from the local farmer or property owner. As is the case with any other emerging real estate markets, it is strongly recommended that you enlist the help of a reputable local attorney. Nicaraguan property titles can be in disputes at times–an experienced attorney can trace title of the property that interests you to ensure it is not contested. And make sure you have a good translator, since all contracts must be written in Spanish to be legal. In Nicaragua, the real estate purchase process is essentially a two-tier process involving three parties: the buyer, the seller, and the notary (the position of notary is the highest level of attorney qualification in Nicaragua, and is awarded by the state). Once you have agreed upon a purchase price with the seller, the notary will prepare a promesa de venta (promise to sell). This is a three-party agreement, signed by the buyer, seller, and notary. Upon its execution, the notary will prepare a testimonio. This is an exact copy of the promesa and is placed in the public records to advise other prospective real estate buyers that the property is under contract. Once all conditions of the promesa have been met, the notary will prepare an escritura (deed) to be executed by the buyer, seller, and notary. Once again, a testimonio is prepared. This is taken to the property registry and an appraisal of the property is done. An appraisal certificate is issued along with the testimonio. Once the transfer taxes have been paid, the testimonio is recorded in the public registry office at the local municipal office. Real estate transactions are usually overseen by a notary. (The position of notary is the highest level of attorney qualification in Nicaragua, and is awarded by the state.) In Nicaragua, rules regarding “conflict of interest” are non-existent, thus your attorney might be working for both you and the seller. Sometimes an attorney may not disclose this information, even if asked. Once you have agreed a purchase price with the seller, the notary will prepare a promesa de venta (promise to sell). This is a three-party agreement, signed by the buyer, seller, and notary. If the document is in Spanish, be sure to have it translated in full. Upon its execution, the notary will prepare a testimonio. This is an exact copy of the promesa and is placed in the public records to advise other prospective buyers that the property is under contract. Once all conditions of the promesa have been met, the notary will prepare an escritura (deed) to be executed by the buyer, seller, and notary. Once again a testimonio is prepared. This is taken to the property registry and an appraisal of the property is done. An appraisal certificate is issued and submitted to the IRS, along with the testimonio. Once the transfer taxes have been paid, the testimonio is recorded in the public registry office of the municipal government. Few countries offer as light a tax burden as Nicaragua. Property transfers are subject to a 4% transfer tax on the purchase price. While most sellers ask the buyer to pay it, it should be known that it is a prepayment of income tax. The seller is the only one to benefit from its payment. General sales tax, IGV ( impuesto general al valor), applies to the transfer of most goods and services at the standard rate of 15%. The annual property taxes are approximately 1% of the assessed value of the property. If you derive rental income from your property in Nicaragua, your earnings will be treated as normal income for tax purposes. For resident individuals, income tax (IR) is calculated on a progressive tax rate, up to a maximum of 25%. For non-residents, any income originating from within Nicaragua is taxed at a flat 15%. Nicaragua taxes its citizens, residents, and non-residents on all income originating in the country. Capital gains are treated as ordinary taxable income. You will be liable for tax on such earnings, up to a maximum of 35.5%. A charge of 4% is levied on the gift or inheritance of property. In fact, the government will not allow you to register a property until these taxes have been paid. Property ownership in Nicaragua is fee simple/freehold, with title issued and registered in your name. If you are familiar with real estate affairs in Nicaragua (and speak fluent Spanish) you could buy directly from the local farmer or property owner. However, it is strongly recommended that you enlist the help of a reputable local attorney. Property titles all over the country are in dispute. An experienced attorney can trace title of the property that interests you to ensure it is not contested. When inquiring about a property for sale, the first question to ask is whether the seller truly owns the property. If you’re interested in a property for which the title is not clear, we advise you to move on. Disputes can involve many parties and drag on for years. Unpaid, back taxes may apply to properties being sold now…so you’re better off investing in a property for which the title is free and clear, the taxes are paid, and the ownership can be yours without contest. Also, it has happened that people have sold, or tried to sell, land that they didn’t actually own. Therefore, it is imperative to have an experienced attorney on your side–one that is familiar with Nicaraguan real estate law. The risks can’t be dismissed, but buying here is generally straightforward (and profitable) once you go through the proper channels. Pay extra attention to land that is part of the Autonomous Regions of RAAN and RAAS (Regiones Autonomistas–Atlantico Norte and Atlantico Sur). The Autonomy Law requires the government to consult indigenous people regarding their area resources. Make sure to hire an attorney that understands the autonomous regions to help with title clearance. Until 1999, you couldn’t buy title insurance in Nicaragua. Now you can. It will make your investment here that much more secure. You buy the policy in the U.S., Canada, or the U.K., and its coverages are interpreted under the laws of the country where you purchase the policy. When you’re buying in Nicaragua, we recommend that you make your offer subject to the ability to secure a title insurance policy. Some developers already have title insurance, which is generally a good indication that you won’t have any difficulty. You should always ask to see a developer’s master policy. But, remember, to protect your own property, you will need your own policy. Attorney/Notary fees are generally 1%, but this depends on the lawyor/notary, so the charge may differ. Transfer Tax: Transfer of the property’s ownership is subject to a withholding tax or “transfer tax” of 1% to 3%, depending on the value of the transferred property. Municipal Revenue tax (IMI): In most municipalities of the country, the transfer of property is also subject to a municipal revenue tax of 1% over the highest value between the purchase price established in the transfer deed and the cadastral value established by municipality. Property Registration Fees: are 1% (Maximum US$1,370). A property conveyance will not be enforceable before third parties until it is recorded before the Public Registry. Broker commission is 6%to 9%. 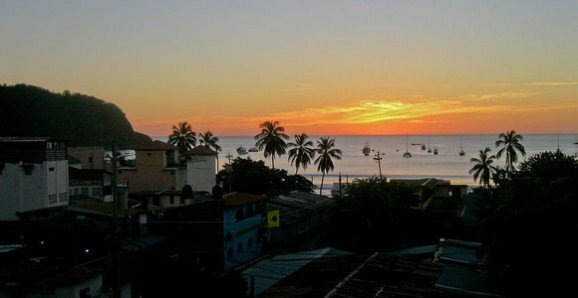 Why Look At Buying Property In Nicaragua? Nicaragua remains one of the most misunderstood nations in the world. This country is not in the midst of a civil war…and not a Communist state. The truth is: Nicaragua is more lovely and shows more promise than ever before. Now is the time to take advantage of the opportunities here, and some of the very best opportunities are in real estate. Developers are scurrying to build along the Pacific coast, and the government is improving the local infrastructure there by paving roads and improving tourist areas. Just 10 years ago, we looked at raw land on the Pacific…a lot here and there for sale without amenities. Only one “development project” was under way. Now you have several to choose from—all with water, electricity, and fabulous views of the surf. The improvements we predicted back in 1995 when we started writing about Nicaragua are now coming to pass. Property prices are on the rise, to be sure, but there’s still time to take advantage of good buys.